I haven't been in southern California since 2005, but I'll be there in February. 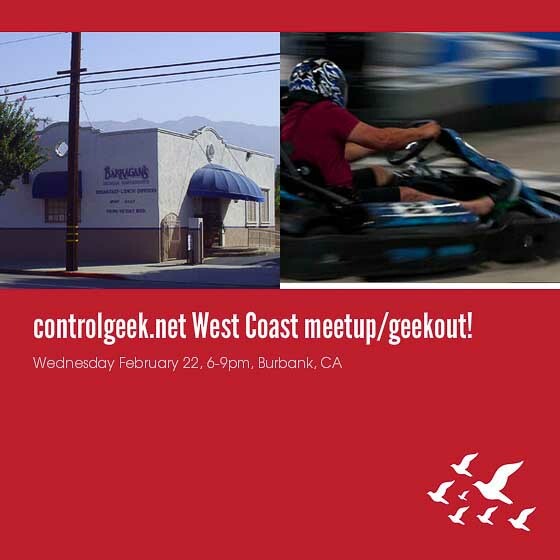 So, it's time for another controlgeek.net Meetup/Geekout! Please click here for details and to RSVP so I can get a head count. Those who register with their email will get the pre-registration details for the go karts so we can save time at the track.